The Winter Cape Coat | Couture Makeup Blog - Makeup Artist Serving San Diego and Orange County. 1. 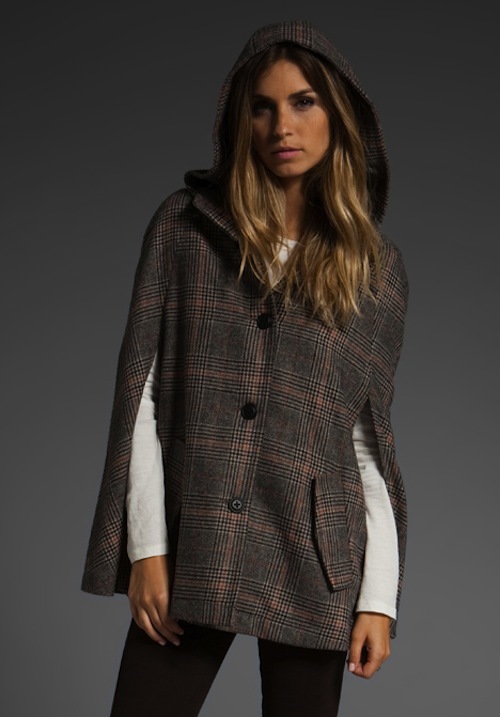 Length: longer capes can be more flattering than short capes, similar to the poncho. 2. Color: solid colored capes make a beautiful statement. 3. Boots: boots look classic when paired with a long cape. You may choose boots the same color as the cape or ones that contrast. 4. Undergarment: wear a fun colored long sleeve top underneath your cape for added dimension. 5. Accessorize: Carry a big bag on your forearm. Shoulder bags will be uncomfortable, so make sure it’s a bag you can carry. A cape coat with an elegant shape is best for high-profile gatherings or a night on the town. Layer it up with a cardigan over a chic form-fitting, long sleeved blouse in a complimentary color. Slip into black skinny jeans and trendy ankle boots to complete your fabulous winter look. Cape coats are the best option to polish a casual outfit. A printed button-down blouse and dark denim jeans will be hugely trendy with a neutral-toned cape over your shoulders. Or try loosening up further, with a more relaxed cape coat style decorated with a little fur. Team it with jean short and a corset or nice baggy sweater. Sunglasses and a pretty shawl provide just the right upbeat touch. A plaid cape coat can provide a nice contrast to a black skirt and grey high-collar/long-sleeved blouse. Another way is to wear a plaid blouse with a pretty bow necktie and match its color to the cape coat. Keep this tried from looking too stiff by allowing softer hair, nothing slicked back. If you’re a woman who considers dresses a wardrobe staple, the cape coat will heighten its charm. Find one with a clean and modish look; its well-cut silhouette gives an additional flamboyance to your striking dress. For a dark chunky knitted dress, choose a simple grey belted cape coat and matching accessories. You can go absolutely flirty and cute with this look, by pairing a vibrant checkered cape coat with an attractive simple-cut dress. Accessories must match one of the colors on the cape coat. Bright colored cape coats are the best if you want a statement, eye-catching style. You can have a fun and playful look if you keep my few tips in mind. Always be wary of the color scheme. 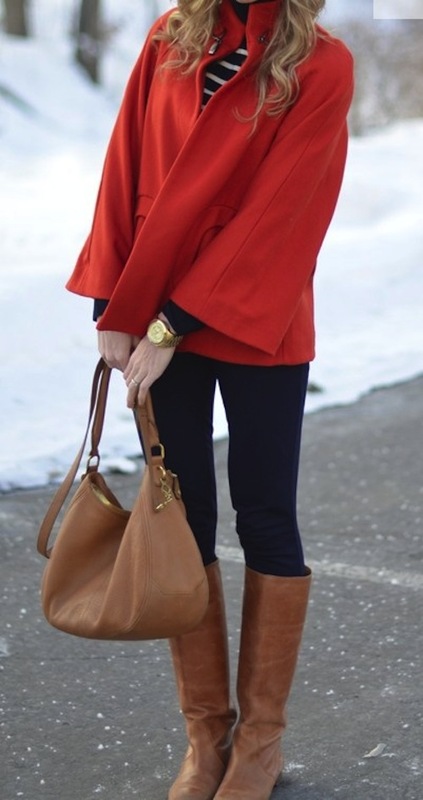 If the cape coat is a bright red, find a blouse decorated in a major color, doesn’t matter if a secondary color or pattern is visible. Pull on your black tights and boots, and you have a loud and proud outfit that will turn heads. Better still, for a bold cape coat, use multiple colors harmonized with the shade, for example purple, yellow and green. Try not to go overboard with the fun.